Red-throated Loon - Dallas Co., December 18, 2017. Same bird as below. Red-throated Loon - Rains Co., Lake Tawakoni, March 1998. Red-throated Loon - Two were photographed on Lake Texoma, Grayson during their stay 20 December 1991 & 24 February - 14 March 1992 (HG, MP; 1992-42, TPRF #1103). Red-throated Loon - Two were on Lake Tawakoni, Rains from 31 January - 7 February 1993 (MWh, RK; 1993-29). Red-throated Loon - One was on Lake Tawakoni, Rains from 26 December 1994 - 6 January 1995 (KN, MW, GL, J&BR; 1995-2). Red-throated Loon - One was at Lake Tawakoni, Rains, from 16December 1995 - 23 January 1996 (RR, M&KW;1995-60). Red-throated Loon - One at Lake Tawakoni, Rains, on 27 February 1994 (RK; 1994-141). Red-throated Loon - One at Hagerman NWR, Grayson, from 7-8 November 1997 (G&LS, CCo; 1997-172). Red-throated Loon - One at Lake Benbrook, Tarrant, from 17-20 November 1999 (PHo, MR, BFr, GL; 1999-98; TPRF 1854). Red-throated Loon - One at Lake Texoma, Grayson, from 11 January to 22 February 2000 (WM, EW; 2000-13). 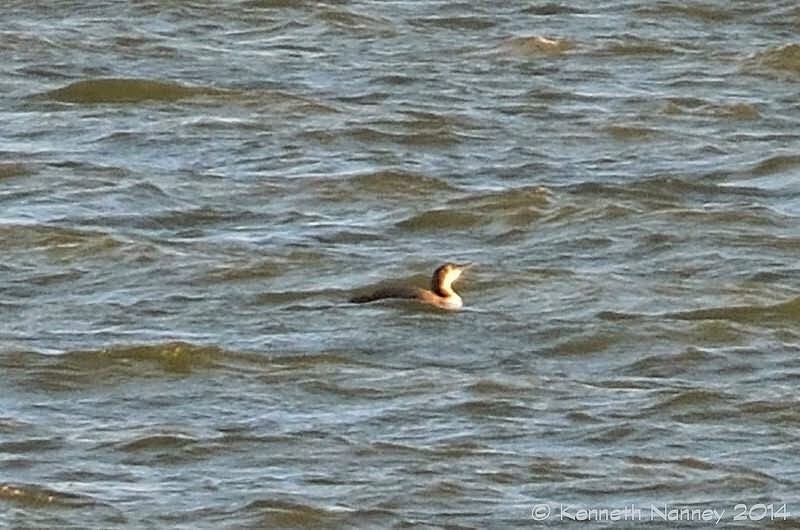 Red-throated Loon (Gavia stellata) (47). One at Lake Tawakoni, Rains, on 3 February 2001 (MI, BG; 2001-46). Red-throated Loon was removed from the Review List on 17 August 2002.